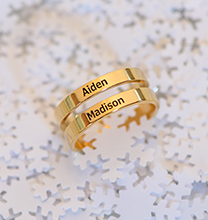 Ready to design your own stackable mothers ring? 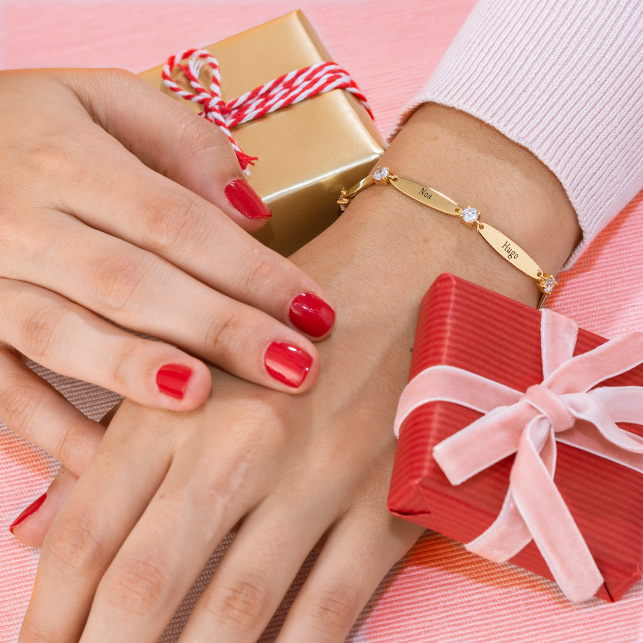 She’ll love this one: It’s made with 18ct rose gold plated over sterling silver for a beautiful, timeless look. 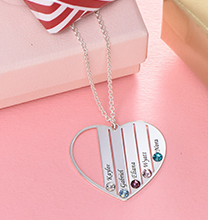 Personalise with an engraved name, and then add a sparkling birthstone for the perfect, finishing touch. 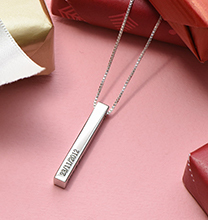 This ring looks lovely on its own, and it’s just right for stacking to honor mum for each of her children, or grandma for all of her grandchildren. 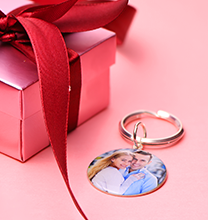 The perfect gift for mother’s day, it’s also great for the holidays, a birthday, or “just because!” View our collection to see even more rings for mums. 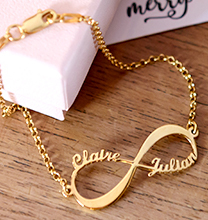 This item is also available in Sterling Silver and in 18ct Gold Plating . Lovely ring, fitted perfectly, my mum was delighted.